You will find the recipe of the Tex-Mex rub in a separate post in order to prepare more and for additional comments. 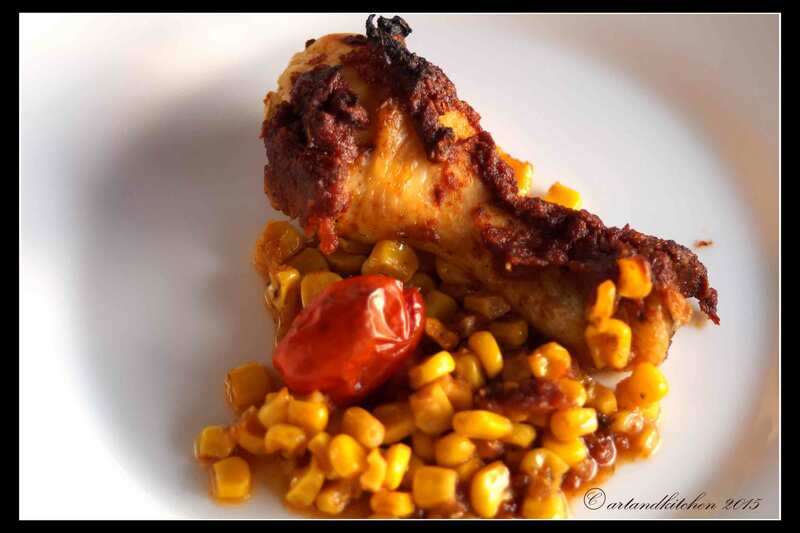 This rub makes a wonderful condiment especially if combined with chicken, but not only this! The corn resulted super delicious and I was asked to prepare more next time. After having the rub ready most of the work is done. 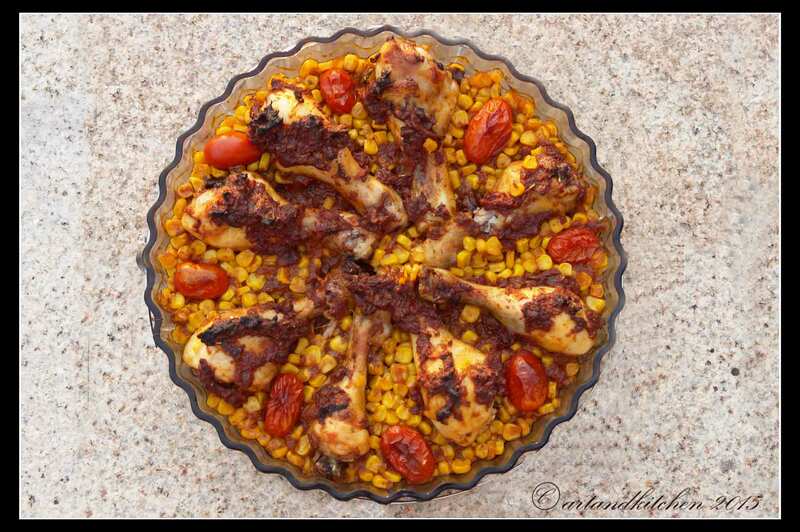 Combining with ingredients and placing all this in the oven, you will get a delicious chicken, or better meal as the kernels will be cooked with the chicken “all in one” and you only need to add some salad or extra fresh greens and you have a wonderful dinner. 1 teaspoon fine sea salt. Mix all ingredients for the rub together well. Store in an airtight container until used. In a bowl combine onion, tomatoes paste, Tex-Mex rub and oil, stir well. Reserve one tablespoon of the mix. Add chicken to the bowl and toss well until well combined. Marinate overnight or at least 30 minutes. Place corn kernels in a baking mold (about 10 inches wide), add the reserved marinade mix and toss. 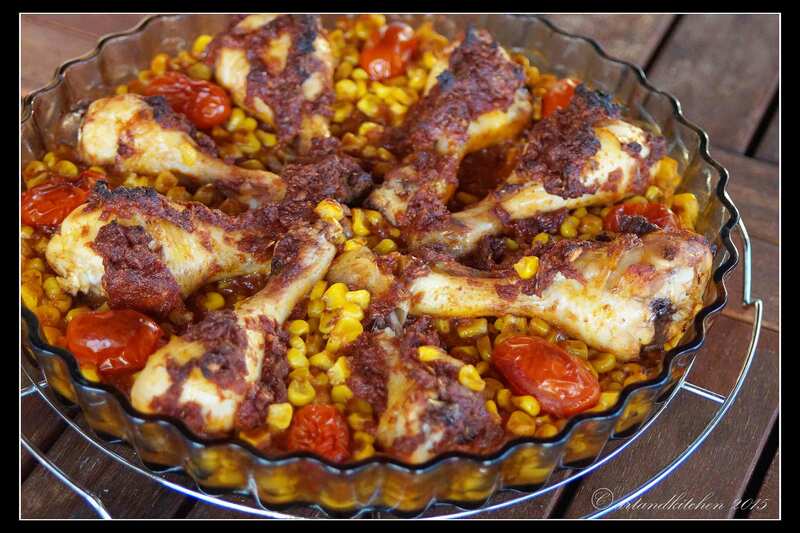 Place chicken drumsticks on the corn, top with the remaining marinade in the bowl. Adjust cherry tomatoes around. Bake at 180°C until through and chicken well browned. Enjoy with bread and salads. 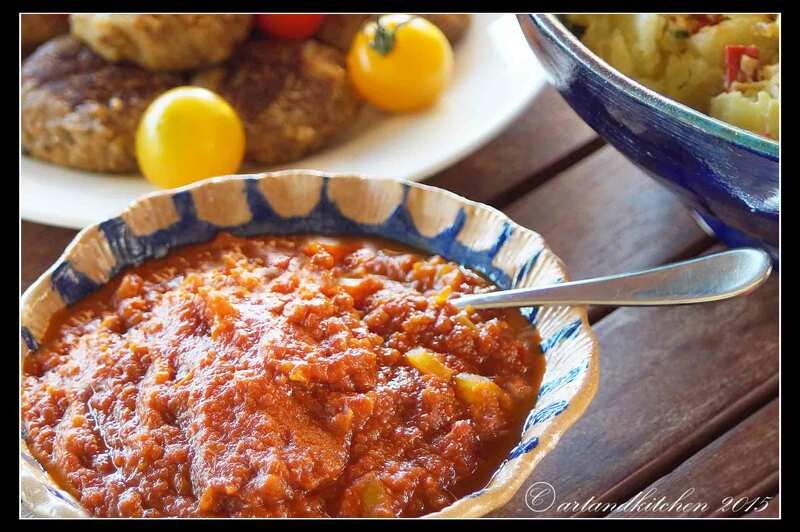 To prepare a homemade BBQ sauce is easy, but you need few ingredients to prepare this. The result will be great and will make a good change from the ready sauce from the store! Combine all the ingredients in a medium saucepan and bring to boil to reduce until thickened. If you like a smooth sauce use the hand blender for a few seconds. Adjust with salt and chili to taste. To be consumed fresh or to be filled still boiling in a jar for later opportunities. Guacamole and it’s variations are welcome to many kind of dishes, served with tortilla chips as appetizer, served as dipping or spread sauce, as filling addition to tacos and similar or simply as addition to BBQ or grilled dishes. 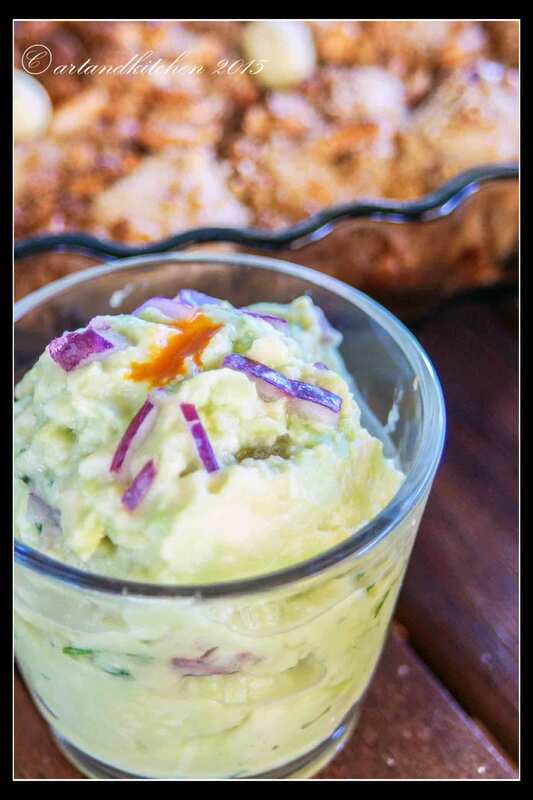 The most important think to know for this recipe is that the avocado has to be ripe, not too hard but not over-ripe and turning hard. Prepare all the ingredients mashing and chopping them. It’s also possible to use the food processor, but I prefer some structure, so I make this by hand. Adjust the salt to taste. Keep in the refrigerator just before serving! 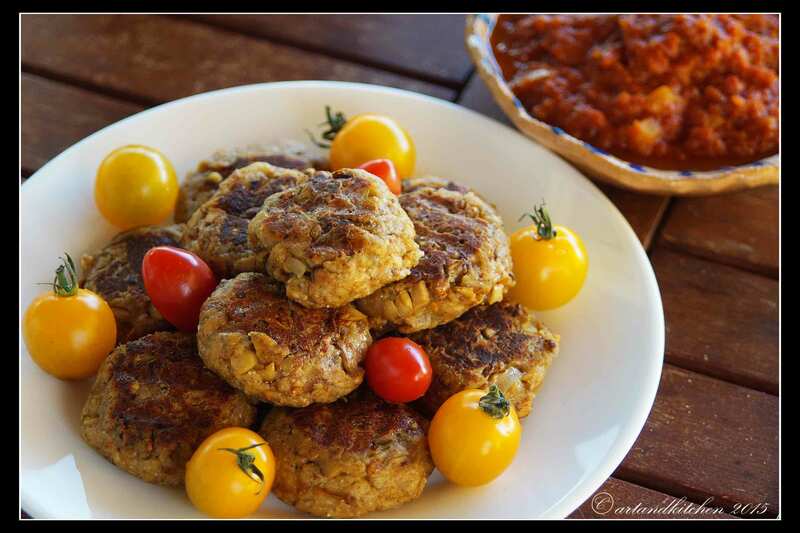 Are you looking for a vegetarian preparation for the BBQ or a grill party? What about some veggie burgers? We have a suggestion for your, something that not only vegetarians will love! For this preparation I used the mushrooms I found in the shop: white mushrooms and chanterelles but also cremini, shiitake, portabella, oyster, trumpet and many more would work as well. I recommend not to chop the mushrooms with the food processor (or at least only shortly) as this would affect the structure. This recipe makes a dozen of small burgers or 6 medium ones. I served them with a homemade BBQ sauce with yellow peppers addition. The first step is to have your ingredients ready. Heat 1 tablespoon oil in a non-sticky skillet and fry the onions only until just translucent. Add the chopped mushrooms and fry until fragrant and all the liquid produced by the mushrooms is adsorbed and they look quite dry. Transfer the fried mushrooms and onions into a bowl and add all the ingredients except of the last two tablespoons olive oil. Combine well and adjust taste with salt and pepper. If the mix is too humid add some more breadcrumbs. At this point the mixture should hold its shape if pressed to flatten balls (patties). To do that grease your hand with little oil and spoon the mixture into your hand. This is the easiest way for me. Some people like them coated with additional breadcrumbs to form a crust, this makes them easier for grilling. For the frying pan I think that this is not necessary and the breadcrumbs would adsorb more oil. Let the patties rest in the fridge for about 30 minutes before grilling. Grill them on high heat for about 5 minutes per side until golden brown or spray a non-sticky skillet with oil and fry them on both sides. Summer time is salad time! 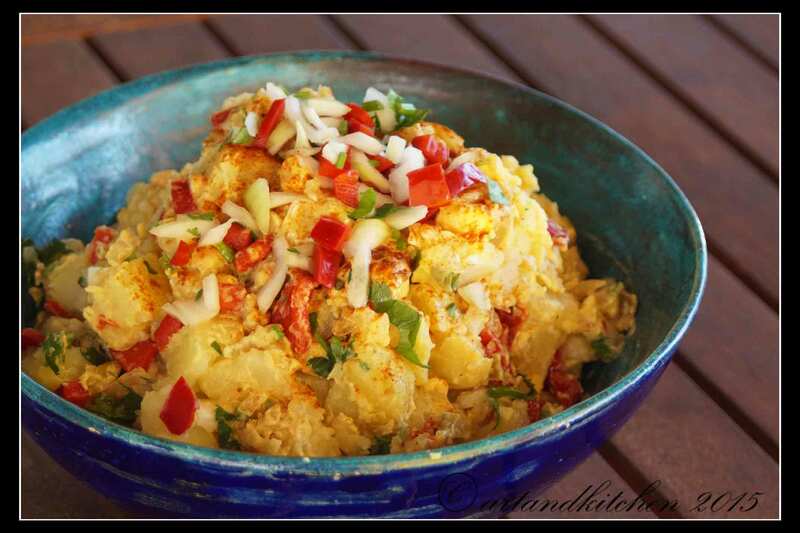 This salad can be served as you like as side dish to BBQ dishes or simply as supper as it is. I made this for our cooking games and we really appreciated it the first day and well as the leftovers directly from the fridge the day after, I found it even better! If you don’t eat it the first day for safety reasons I recommend not using mayo and opting for the fresh cheese or yogurt. I always try to skip mayo and use other substitutes. Reserve some chopped onions, red pepper and celery for topping! Bring a large pot of salted water to a boil. Add potatoes and cook until tender but still firm, about 15 minutes. Drain, peel and roughly cut potatoes into chunks. Place in a large mixing bowl to cool down. In the meantime place eggs in a saucepan and cover with cold water. Bring water to a boil; cover, remove from heat, and let eggs stand in hot water for 10 to 12 minutes. Remove from hot water, cool, peel and chop. In a small bowl combine mustard, cream cheese, oil, vinegar, salt and pepper. Now add the boiled diced potatoes and the eggs, top with sauce, toss and sprinkle with paprika. Refrigerate before serving until chilled!